Beaumont Health has agreed to pay an $84.5 million settlement to the U.S. Justice Department, state of Michigan and four whistleblowers for violating federal laws that bar hospitals from overcompensating physicians and filing false claims. The Justice Department said in a statement that Beaumont violated the federal False Claims Act by engaging in improper relationships with eight referring physicians that led to the submission of false claims to the Medicare, Medicaid and the military Tricare programs. The eight physicians were not named in initial DOJ documents, but the whistleblower lawsuits list more than a dozen well-known current and former Beaumont physicians and executives as plaintiffs or those involved in the schemes. 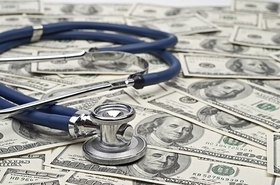 "Offering financial incentives to physicians in return for patient referrals undermines the integrity of our health care system," Acting Assistant Attorney General Chad Readler of the DOJ's Civil Division said in a statement. "Patients deserve the unfettered, independent judgment of their health care professionals." Beaumont CEO John Fox, who was hired in January 2015 to replace Gene Michalski, said the resolution of the case "reflects Beaumont Health's commitment to the future of health care in Southeastern Michigan." Fox started work in March. Beaumont Health was formed in 2014 through the merger of Beaumont Health System, Oakwood Healthcare and Botsford Hospital. Officials for Beaumont said the federal investigation was disclosed to all board members and executives at the time, and references to the problems were contained in public financial documents. The four whistleblowers, which filed separate actions that the DOJ consolidated into one case, are David Felton, M.D. ; Karen "Bobbie" Carbone; Cathryn Pawlusiak; and Karen Houghton. The DOJ has not determined the shares to be awarded to the whistleblowers out of the total fine. The cases allege that between 2004 and 2012, Beaumont provided compensation substantially higher than fair market value, and free or below-market-value office space and employees to certain physicians to secure their patient referrals. The compensation was excessive and in violation of federal anti-kickback statute and the Stark Law. The eight doctors then submitted claims for services provided to these illegally referred patients, in violation of the False Claims Act, DOJ said. In addition, the settlement also resolves claims that Beaumont allegedly misrepresented that a CT radiology center qualified as an outpatient department of Beaumont in claims to federal health care programs. Schneider said Beaumont Health's new leadership worked expeditiously for "making things right once its past wrongdoing was brought to its attention by federal investigators." Beaumont has already paid $82.74 million to the United States and $1.76 million to the state of Michigan out of cash it has reserved over the past two years, a Beaumont official said. The fines will not affect operations or jobs, the official said. Fox said there were no allegations "concerning the quality of the patient care by any physician at any of the three hospitals" that were part of the former Beaumont Health System. Those hospitals include the flagship hospital in Royal Oak and those in Grosse Pointe and Troy. "Beaumont Health settles $84.5 million federal whistleblower case" originally appeared in Crain's Detroit Business.